Luang Prabang Night Market is an outdoor tourist market that sets up every evening in the centre of Luang Prabang in Laos from around 17:00 to 23:00. The market runs along the Sisavangvong Road with 4 rows of stalls, with a walkway between each pair of rows. Luang Prabang Night Market is not necessarily the best place to shop for a bargain, or even the best quality products in Laos, it is however entertaining and the products on sale are intended to be souvenirs for visitors to Luang Prabang. 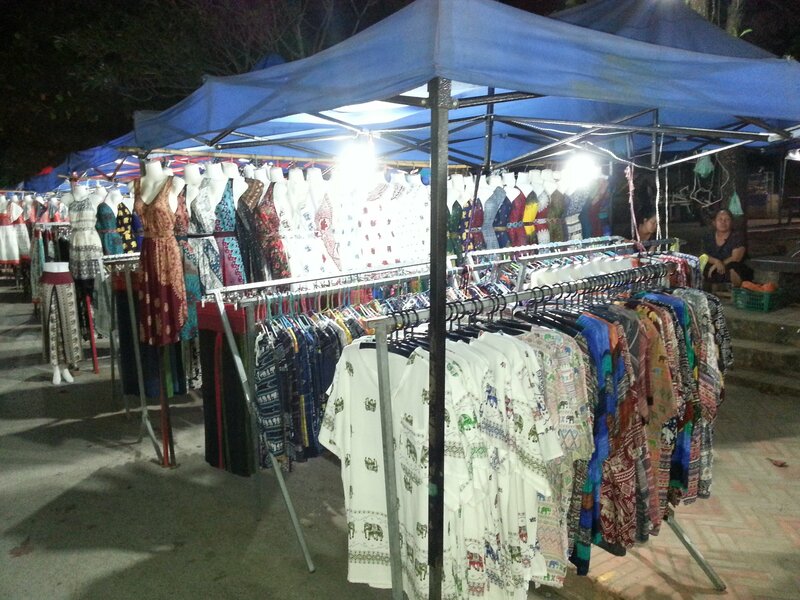 The most common thing on sale in Luang Prabang Night Market is clothes. Some of the items on sale are replica (ie. fake) designer goods, which you can find in other tourists markets across South East Asia such as Patpong Night Market in Bangkok and Petaling Street Market in Kuala Lumpur. 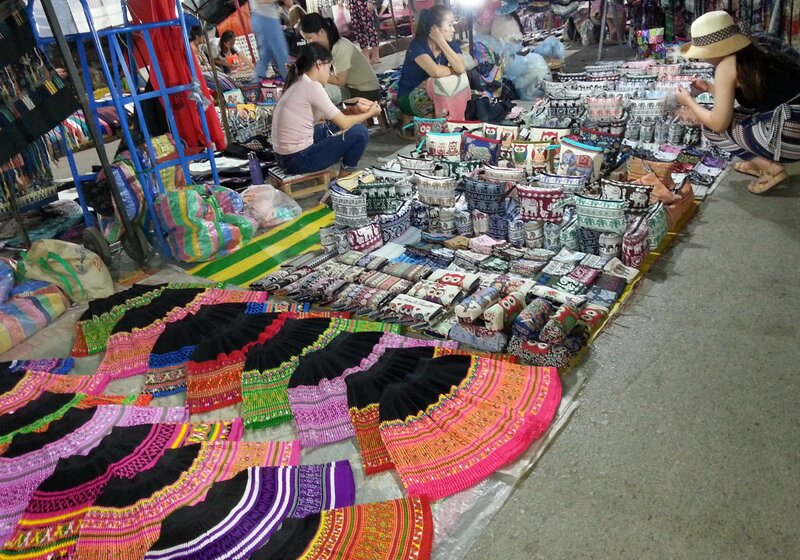 What makes Luang Prabang Night Market different is that amongst the substandard facsimiles of well known brands you can also find some more original creations based on the traditional costumes of the the many ethnic groups that reside in Northern Laos . The same principle also applies to other things on sale at Luang Prabang Night Market. Some of the items are mass produced and you will find the exact same product sold elsewhere, but for less. However, amongst the lower quality items you will also find some genuinely original and creative items which have been made locally. 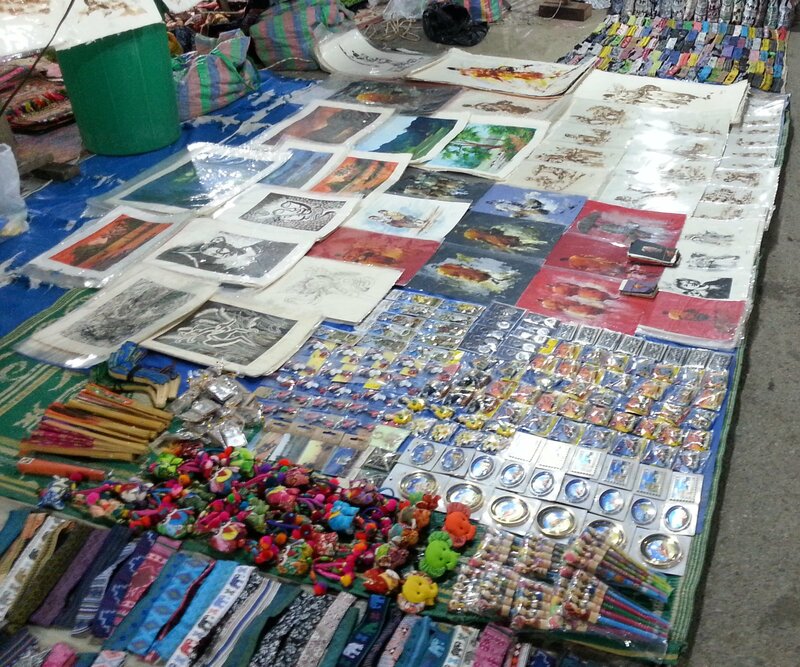 Quality costs more and if something is good is on sale at Luang Prabang Night Market you can expect it to be relatively expensive. A fairly large proportion of the people who visit the Night Market come to eat and drink. 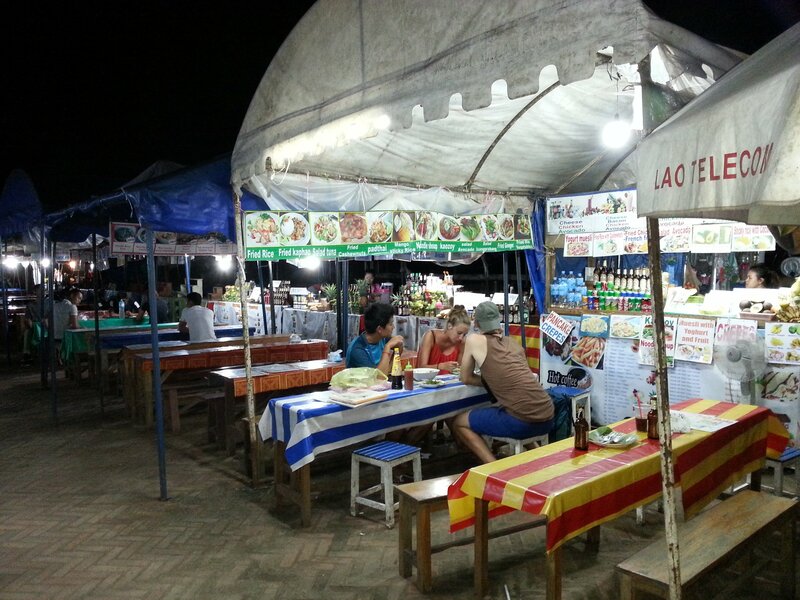 The cheapest place to buy food and drink in Luang Prabang town centre is definitely the Night Market. For cheap sit down food try the food stalls at the beginning of the market near the intersection of the Sisavangvong and Kingkitsalat Roads. 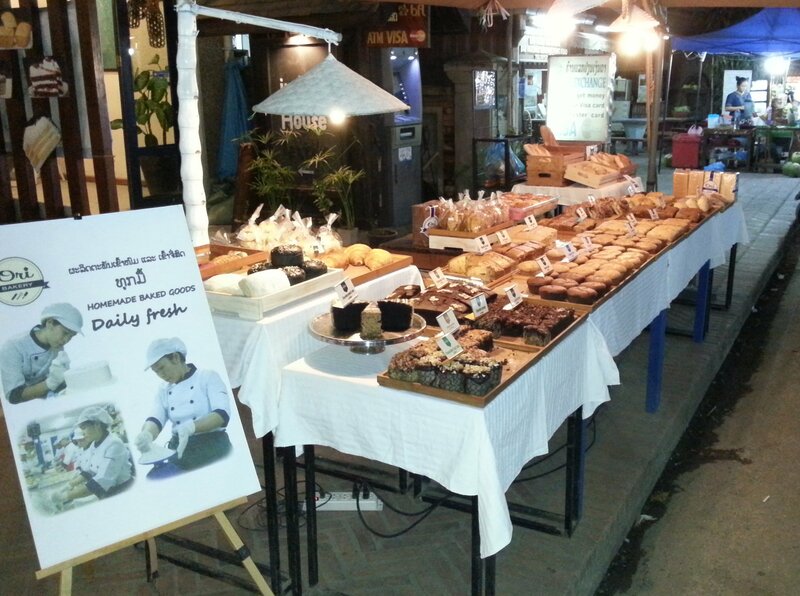 These stalls sell a range of cheap noodle and rice dishes but the big draw is the fresh baguette sandwiches on sale. Expect to pay 10,000 to 15,000 kip for a large baguette depending on the filling. Amongst the numerous stalls selling fruit shakes, grilled items on sticks and buffets of pre-cooked food there are a few stalls selling very good quality food items, but at a relatively expensive price. Again, if you want quality at Luang Prabang Night Market you need to pay prices not that dissimilar to the prices you might pay in Europe or North America. Travel from Vientiane to Luang Prabang. 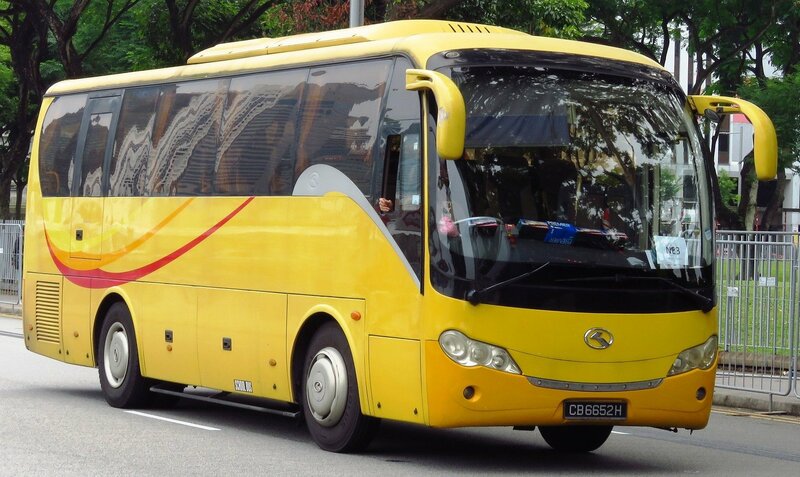 Travel from Chiang Mai in Thailand to Luang Prabang. Travel from Hanoi in Vietnam to Luang Prabang. Luang Prabang town centre is fairly compact and the majority of the accommodation is within walking distance of Luang Prabang Night Market. The complete 2019 Guide to travel in Laos by bus, plane and ferry. Tickets, timetables, and maps.